Z. Vivian Feng, associate professor of chemistry, will use her expertise as an analytical and material chemist in the Center for Sustainable Nanotechnology. Augsburg College is joining a research group tasked with exploring the benefits and potential risks of nanotechnology. Augsburg has been added as a partner to the Center for Sustainable Nanotechnology, a multi-institutional research center based at the University of Wisconsin-Madison. Supported through a nearly $20 million award of National Science Foundation funding over the next five years, the CSN includes 15 innovative faculty members from research institutions across the United States. Z. Vivian Feng, associate professor of chemistry, is leading Augsburg’s participation in the center. Nanotechnology involves the use of materials at the smallest scale, including the manipulation of individual atoms and molecules. Products that use nanoscale materials range from beer bottles and car wax to solar cells and electric and hybrid car batteries. If you read your books on a Kindle, a semiconducting material manufactured at the nanoscale underpins the high-resolution screen. Feng first became involved in the CSN during the final year of its first grant phase, which corresponded with her 2014-15 sabbatical. Her expertise in characterizations of nanomaterials and model membranes, as well as analytical method development will contribute to the understanding of various interactions at the highly complex nano-bio interfaces. In particular, Feng will lead a team of undergraduate researchers in exploring the various toxicity mechanisms of nanomaterials to environmentally-beneficial bacteria to provide insight to redesign nanomaterials that are benign in the environment. Under Feng’s direction, Augsburg College students Hilena Frew ’17, Lyle Nyberg ’17, and Thu Nguyen ’16 contributed to the CSN’s initial research phase. Frew and Nguyen will continue working as undergraduate researchers with the support of a stipend from the new NSF grant in the coming year. 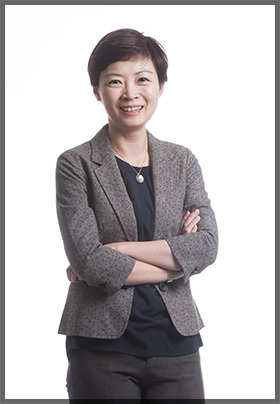 Find additional information about Feng’s research interests and mentorship on her research site. Along with UW-Madison and Augsburg, research partners on the grant include the University of Minnesota, the University of Illinois, Northwestern University and the Pacific Northwest National Laboratory, the University of Wisconsin-Milwaukee, Tuskegee University, the University of Maryland-Baltimore County, Johns Hopkins University, the University of Iowa, and Georgia Tech. CSN funding is provided by the NSF Division of Chemistry through the Centers for Chemical Innovation Program (CHE-1240151).